The skin becomes dull and grey through a build-up of dead skin cells. This also increases the likelihood of blemishes and skin flaking. 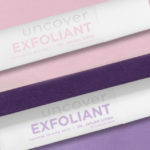 This Exfoliant removes dead skin cells in a gentle way. 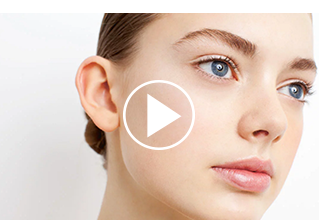 The skin takes on a fresh, smooth radiance. Salicylic acid is particularly suitable for sensitive, oily or blemished skin. This ingredient can penetrate deep into the skin and dissolves accumulated sebum and dead skin cells. 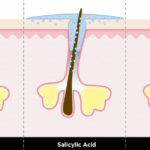 Salicylic acid is also anti-inflammatory and can reduce acne. 2. I have a real problem skin. Can I also use an Exfoliant? If you have problem skin, or it is very sensitive, you are best using the Exfoliant with 1% Salicylic Acid in the normal to oily skin range. In general, Salicylic Acid is well tolerated by all skin types. Even if you have very oily skin, this Exfoliant is recommended. It is, however, important that you first test the product on the inside of your elbow. Salicylic acid belongs to the Beta Hydroxy Acids (BHA’s); Glycolic Acid to the fruit acids (AHA’s). Salicylic acid cleans the pores. This makes it a very suitable ingredient for skin with acne. Glycolic acid makes sure that the skin retains moisture more efficiently and makes surface pigmentation and wrinkles less noticeable. It penetrates deeper into the skin increasing the risk of irritation. So for sensitive skin (irrespective of whether it is dry or oily skin) Salicylic Acid is more suitable.